'ioco. 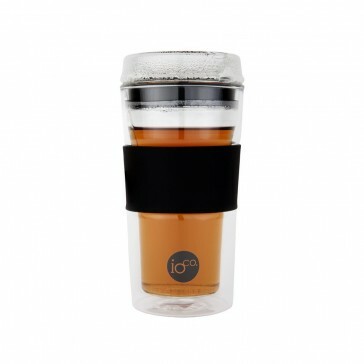 Glass Tea & Coffee Traveller is a stylish eco friendly alternative to disposable cups. 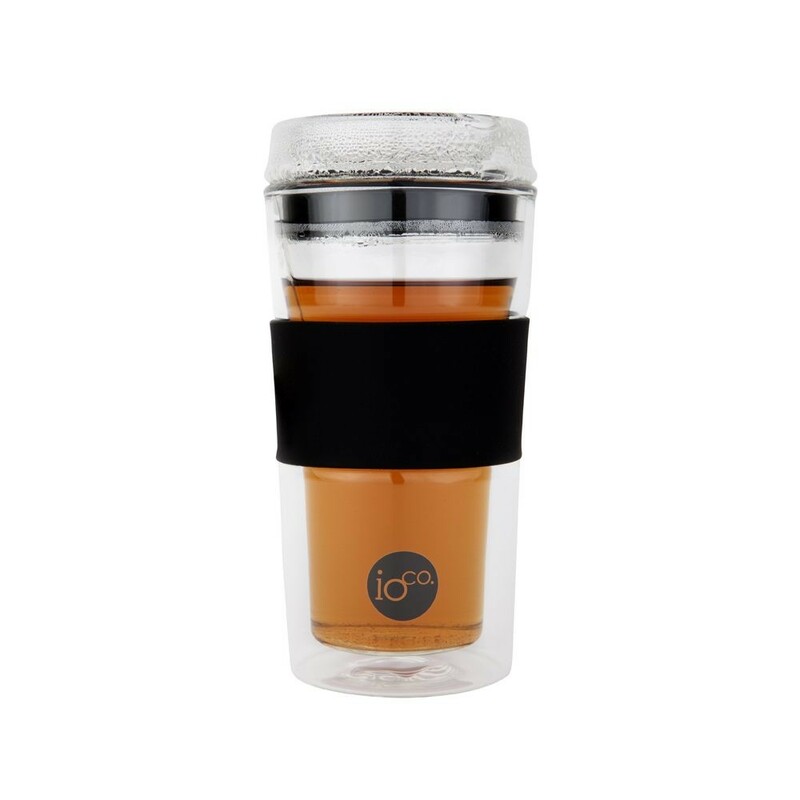 Keep your beverage hot and your hands cool in this double-wall glass tumbler designed for hot liquids. 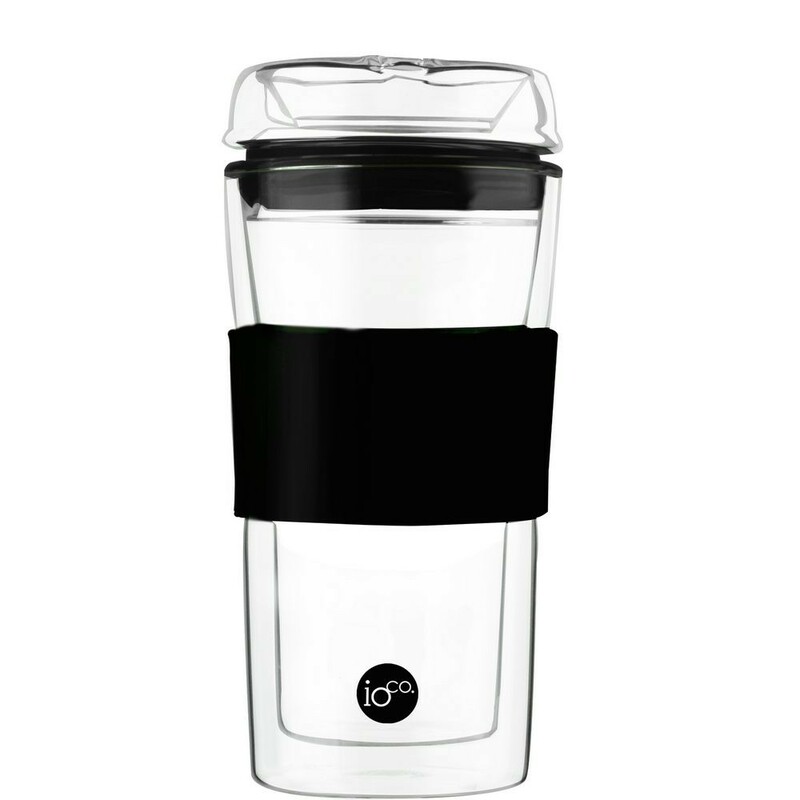 The silicone sleeve keeps your hand cool and ensures a non-slip grip, while the easy-sip lid is perfect for drinking when on-the-go. 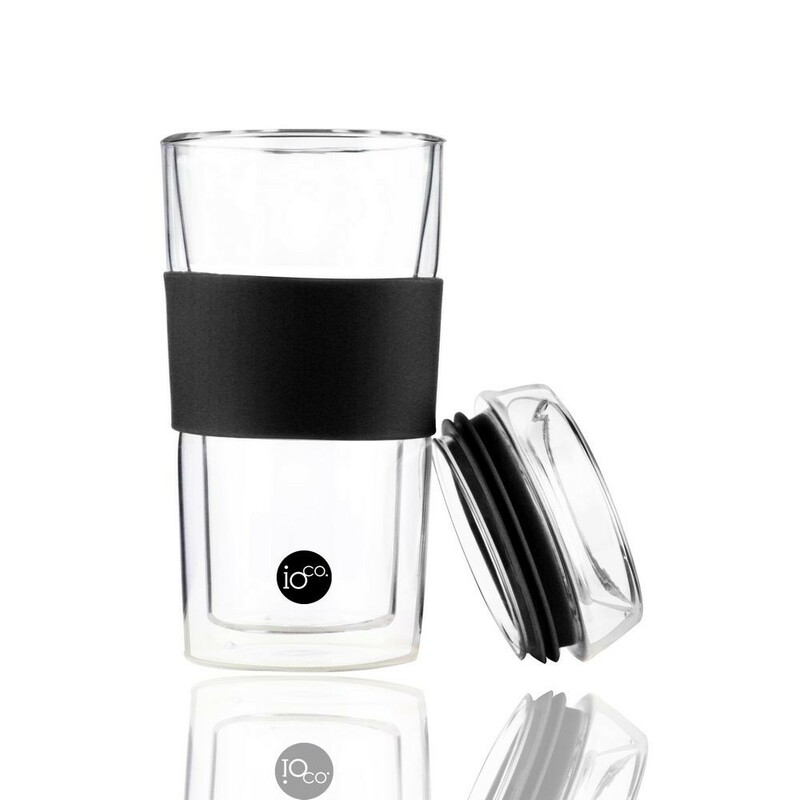 Each lid has a hand blow glass mouth piece which makes each traveller unique. Hand wash for best results. Do not use in microwave.